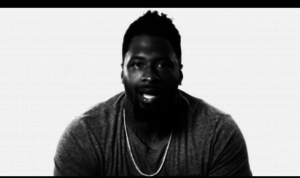 A while ago, I shot a feature for Bleacher Report about NFL player, Darnell Dockett. 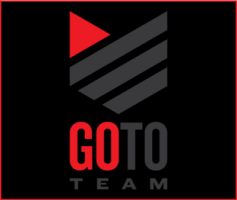 Dockett’s story began as a teenager when he discovered his mother had been murdered in their home. His mother died from multiple shot wounds, however, police believe the killer was someone she knew. 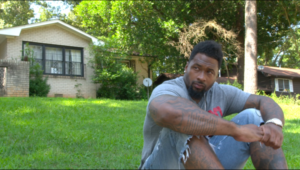 To this day, Dockett still does not know who murdered his mother but pleads for the killer to come forward. 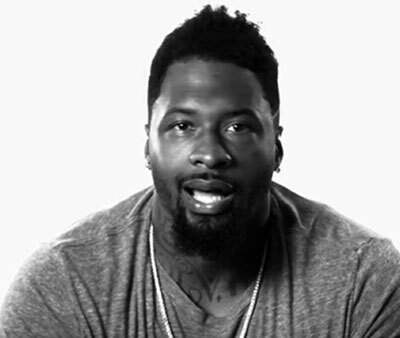 The shooting started with a stylized interview with Dockett speaking directly to the camera on a white background. He told parts of his story and then showed us all of his tattoos. Each one of his tattoos have meaning so he doesn’t forget his past and the people that affected him. Later, we drove around Dockett’s childhood stomping grounds while he narrated his memories for us. Some of his childhood stories include stealing guns, breaking into cars and shattering the front doors to a pawn shop.